The ESP8266 is a system on a chip embedding a 8-bit microcontroller and a Wi-Fi transceiver, made by Espressif Systems. The high number of ESP8266-based development boards providing GPIO access and USB connectivity make such SoC very interesting for fast deploying IoT applications. In a large network of small Wi-Fi systems can be convenient to check periodically the connection state of same nodes. This library makes it possible to handle ping requests ans responses, allowing the user to specify callbacks to run when icmp echo packets are received. 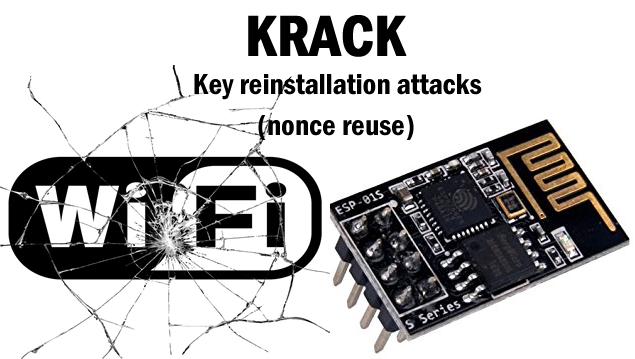 In October 2017 Mathi Vanhoef publicly released the details of a serious weakness in WPA2 security. WPA2 is a widely used security measure to limit unauthorized accesses on Wi-Fi networks. It is a weakness potentially still present in a huge number of devices today. The following guidelines are of paramount importance for any developer, vendor, customer or hobbyst that deals with IoT devices or anything related to Wi-Fi hardware. Did you just close the home door but you suddenly realize that you haven’t your home keys? With this incredibly simple device you will never close yourself out of your home without the keys.